Alexandre Bissonnette, who pleaded guilty to killing six men at a Quebec City mosque two years ago, is appealing his sentence of life in prison without possibility of parole for 40 years. In the appeal, lawyers Jean-Claude Gingras and Charles-Olivier Gosselin said the judge erred in applying a 40-year sentence before Bissonnette would be eligible for parole, calling it "illegal." Quebec Superior Court Justice François Huot's decision modified a 2011 law adopted to the Criminal Code by Stephen Harper's Conservative government. "The trial judge erred in law in concluding that he could rewrite Section 745.51," the appeal said. The Islamic Cultural Centre of Quebec issued a news release Friday evening which reaffirmed its desire to turn the page. "We simply want to return to normal life and protect our children," the statement said, echoing a release it issued Feb. 24 about Bissonnette's sentence. "We have no more comments to make." 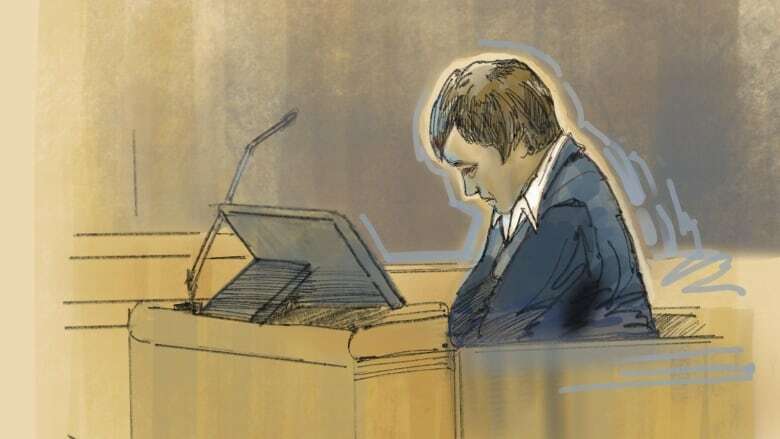 ​In handing down his sentence, Huot called Bissonnette's attack an "unspeakable tragedy" that "tore apart our social fabric." In a letter issued after the sentencing, Bissonnette's parents questioned the sentence, calling it "very severe." Meanwhile, members of the Muslim community argued that 40 years wasn't severe enough — it would mean children of the victims would be forced back into a courtroom later in their life when Bissonnette requests parole to revisit the tragedy all over again.